Mercedes-AMG GT Roadster Boot Space, Size, Seats | What Car? The GT Roadster doesn’t have the small but useful rear seats of a Porsche 911; it’s a strict two-seater. However, a couple of six-footers will have plenty of head and leg room, and there’s a decent amount of in-car storage. On top of this, the boot has a 165-litre capacity – less than half the coupe’s, but slightly more than you get in a 911 or R8 and enough for a couple of weekend bags. The electrically-operated fabric roof takes 11sec to be raised or lowered (and doesn’t impinge on boot space). 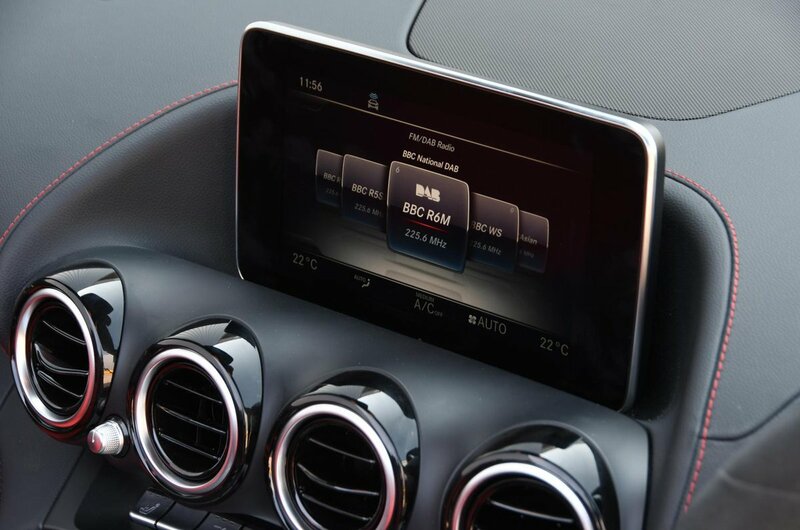 Plus, you can operate it while driving at speeds of up to 30mph, which is useful if there’s a sudden downpour. 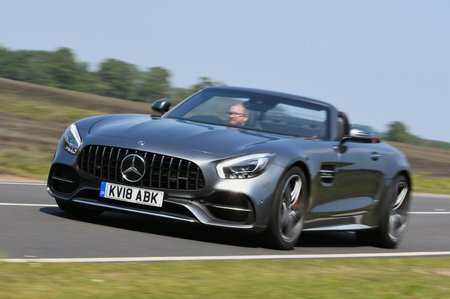 The GT Roadster also comes with Mercedes’ Airscarf system, which blows a steady stream of warm air onto the back of your neck and makes top-down winter driving viable.